Suboxone can come in the form of a dissolvable strip. The medication is also available as a tablet. Neighborhood Health Plan is launching an initiative to encourage physicians to prescribe a drug to treat opioid addiction, in the hope of increasing access to the medication. In an announcement expected Friday, Neighborhood said it will reimburse physicians, nurse practitioners, and physician assistants in its network for up to $500 for the training professionals must undergo before they can prescribe buprenorphine, which is best known by the brand name Suboxone. Neighborhood will also pay $2,000 to each newly certified professional once he or she has prescribed the medication to 10 people, even if they’re not all Neighborhood members. Neighborhood asserted that it is the first health insurer in the country to offer these financial incentives. “We see this as a true community benefit and we’re excited to be able to solve those problems of access,” said Dr. Tony Dodek, chief medical officer. The payments will be offered to the first 100 who apply; if demand is high, the insurer will consider expanding the program, Dodek said. The training requirement has been an obstacle to increasing the availability of buprenorphine. The drug reduces cravings for opioids, prevents overdoses, and helps sustain recovery, yet a minority of physicians are certified to prescribe it, and fewer than half of opioid-addicted people have access to it. At Neighborhood last month, for example, only 1 percent of its physicians prescribed buprenorphine, and no nurse practitioners or physician assistants prescribed it. But it’s not clear that the cost of training is the main deterrent. Many providers don’t have the time, and many feel ill-prepared to work with addicted people. Since September, Tufts Health Plan has been offering providers $100 toward the cost of the buprenorphine training course. By the end of the March, only one had taken advantage of it. But Neighborhood is offering a bigger reimbursement as well as the $2,000 incentive to prescribe. 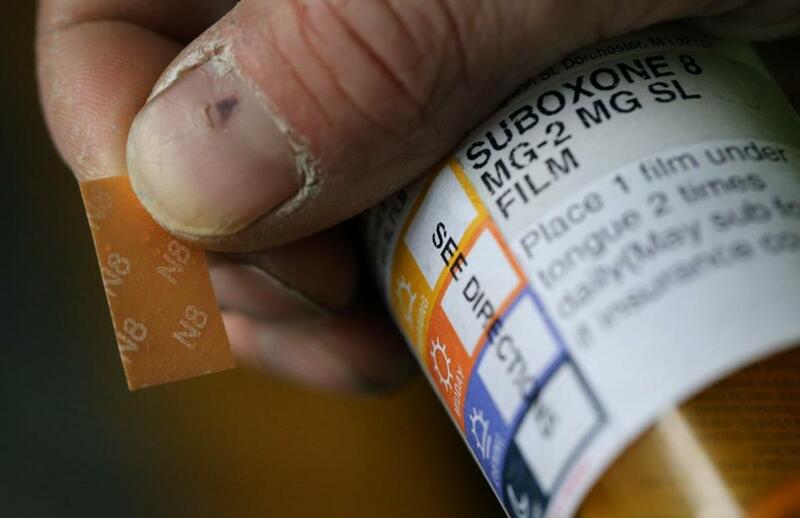 Dr. Michael F. Bierer, president of the Massachusetts Society of Addiction Medicine, praised the notion of providing incentives to increase prescribing of buprenorphine. “It’s a good drug,” he said. But he cautioned that “the details matter a lot” and questioned whether Neighborhood had negotiated any deals with certain manufacturers. Buprenorphine comes in many forms, both generic and name brand. In addition to the prescribing incentives, Neighborhood is in the process of hiring two recovery coaches to work with members struggling with addiction. Other organizations such as hospitals and addiction treatment centers have hired recovery coaches — people who have experienced addiction and guide others in their recovery. But Neighborhood said it is the first health plan in the country to do so. Dodek said that Neighborhood does not require doctors to get the insurer’s authorization before prescribing buprenorphine, but patients do have to pay a co-pay. However, Neighborhood has waived the co-pay for naloxone, the overdose-reversing drug best known by the trade name Narcan, and is reminding pharmacists to notify patients receiving high-dose painkillers that free naloxone is available. Neighborhood, a nonprofit owned by Partners HealthCare, has 142,000 members, 30,000 of them in MassHealth, the state’s Medicaid program. This story was updated May 18 with information about Tufts Health Plan.